Senator Jim Holzapfel, Assemblyman Dave Wolfe, and Assemblyman Greg McGuckin of the 10th Legislative District blasted Governor Phil Murphy’s proposal to increase the New Jersey budget by nearly $3 billion with a slew of new tax increases to pay for it. Governor Murphy’s proposed budget would increase spending from the current year’s appropriation of $34.7 billion to $37.4 billion next year, an increase of $2.7 billion. 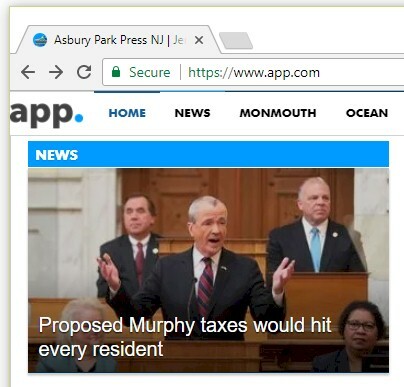 According to the Asbury Park Press, those tax increases, along with others, would total approximately $1.6 billion.